Singapore ranked number one amongst Asian countries for a third consecutive year in the Global Pension Index, that was topped globally by Denmark for a fourth consecutive year. Despite Singapore coming out on top in Asia, a slight drop in the index value of the nation’s retirement savings system saw it slip from a B grade last year to a C+ grade overall. A change in the calculation of the amount of money set aside for retirement – this change reduced the level of pension assets as a percentage of GDP for Singapore. Most recent data from the Economic Intelligence Unit showed a decrease in the net household savings rate for Singapore. United Nations’ updated life expectancy figures in its World Population Prospects showed a continued decline in mortality rates for Singapore. Singapore’s overall score decreased from 65.9 in 2014 to 64.7 in 2015, moving it further away from an ‘A’ grade, which is given to pension systems that score above 80. Denmark and Netherlands are the only countries to achieve an A grade in the history of the index. 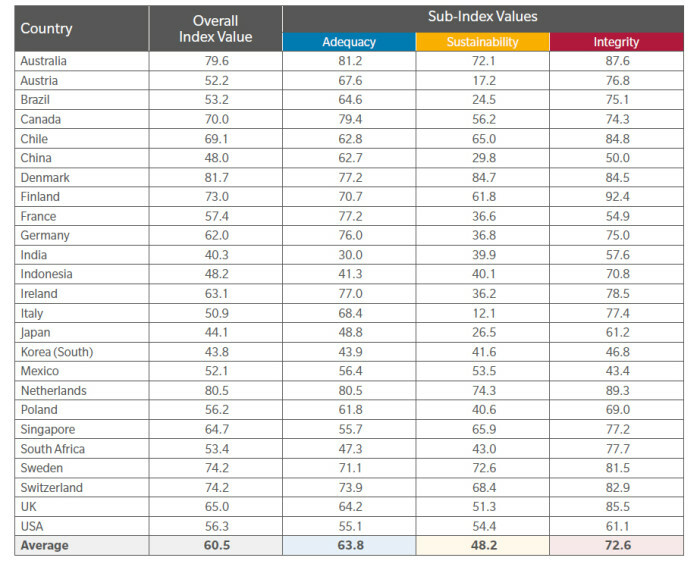 “While Singapore’s retirement income system remains amongst the best in Asia, we are not the best globally. Improvement will be influenced by the legislative and regulatory environment,” said Neil Narale, Asia retirement leader for Mercer. Narale noted that Singapore is on the right track – owing to improvements to CPF announced in 2016, including increasing the wage limit, contributions and guaranteed investment returns for older members and introduction of the Silver Support Scheme to help low income retirees. Now in its seventh year, the MMGPI is published by the Australian Centre for Financial Studies in conjunction with Mercer and funded by the Victorian State Government. This year’s study saw Denmark holding on to the global top spot with a score of 81.7. This was attributed to its well-funded pension system with good coverage, high level of assets and contributions, the provision of adequate benefits and a private pension system with developed regulations. ALSO READ: How does Singapore’s CPF rank on the global pension stage? increasing the labour force participation rate amongst older workers. Per the report, one way to improve China’s overall index value could be to continue to increase the coverage of workers in pension systems. 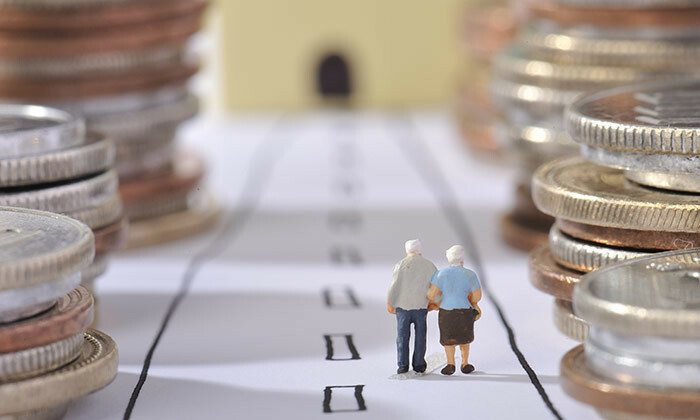 Another suggestion in the report was to introduce a requirement that part of the supplementary retirement benefit must be taken as an income stream. It is never too early to plan ahead for your holidays, since applying for leave can be a “mission impossible” at some organisation.. The supervisor caught on camera physically abusing an intern has been identified amid further allegations of ill treatment by ex-e.. While bosses in China and Malaysia promise higher wages, raises in Singapore and Hong Kong will be more subdued. ..